Yesterday was St. Patrick's Day and tomorrow is St. Joseph's Day. For a woman who has a whole video series on liturgical living I'm kinda failing with these March feast days. 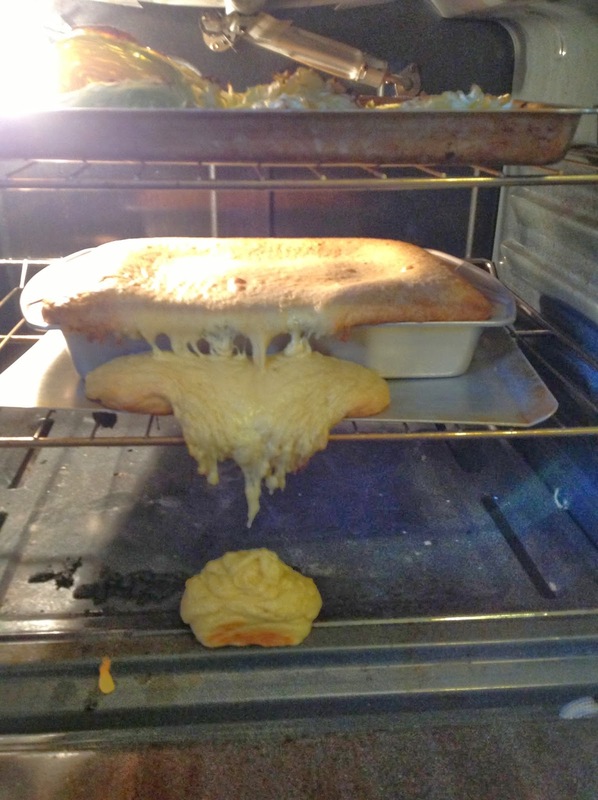 At least it tasted good... when it finally baked through. And then there's St. Joseph's feast day tomorrow. I know that the traditional thing is so have a St. Joseph's Altar but I don't have a lick of Italian in me and I just don't get it. It's also, obviously JP's feast day (like my son, Little Joe, ya know) but I think we'll just be celebrating with Dr. Pepper and ice cream cones (what the kids and I are fasting from this Lent). Also, it seems like it would be totally appropriate to have a big, hearty dinner of steak and beer and other things St. Joseph would have liked had he been born in America in the twentieth century, so we might just do that, too. Because it's easier for me to tell my kids, "We're eating steak because daddies like steak and St. Joseph is the father of the Church." Argh! It's Captain Orangebeard and his matey. Yay for Mary W. who won the free photography session from Steph Zimmerman Photography! Remember that anyone who mentions A Knotted Life when they book with Steph will get $25 off their session. So we're all winners! Priest, Prophet, King a six part study series from Fr. Robert Barron and Spirit Juice Studios. I've recently gotten a bunch of books and I'm really excited to tell you about them on ye olde blog because they're really good. I decided to do a whole week of reviews - I'm gonna be creative and call it "Book Week!". A huge thanks to Rhonda from Real Housekeeping for helping me out and making a Feedly button that matches my other buttons. Because I'm particular and inept and she's helpful and capable like that. I still need to get it up in its place, along with the Instagram button, but I don't have my laptop and things are wonky with the desk top. It'll come, it'll come. Remember when Grace and Simon did that vlog and they answered questions submitted by Grace's readers? That was so great. If any of you have any questions for me - about JF, about Sheen, about anything else you may possibly find interesting about my life - go ahead and ask in the comment box. I'm glad I'm not the only one confused by the St. Joseph alter, we probably won't be doing too much tomorrow. Don't sweat the St. Joseph's day celebrations. My family is Italian and full of Josephs, and we're pretty mellow about it, though we've gotten more "celebrating" at it over the years. We make savoaardi (St. Joseph cookies) and give cards, and I eat some chocolate (Lent give-ups don't apply on a feast). I try to get to Mass since my father (a Joseph) died on this day, his feast day. Also, Bonnie, a little bird told me you will be doing a great book review on a St. Joseph book tomorrow! I am also the only person in my family who appreciates cabbage and I love your St. Joseph's plans! I have a question, Bonnie. I don't remember if you've mentioned it on your blog but do you have a conversion or reversion story? Or maybe you're a cradle Catholic? I really, really like your St Joseph plans. We didn't do much but read a story and say a St Joseph prayer. I don't think it completely resonated. I think I will totally take this approach next year.